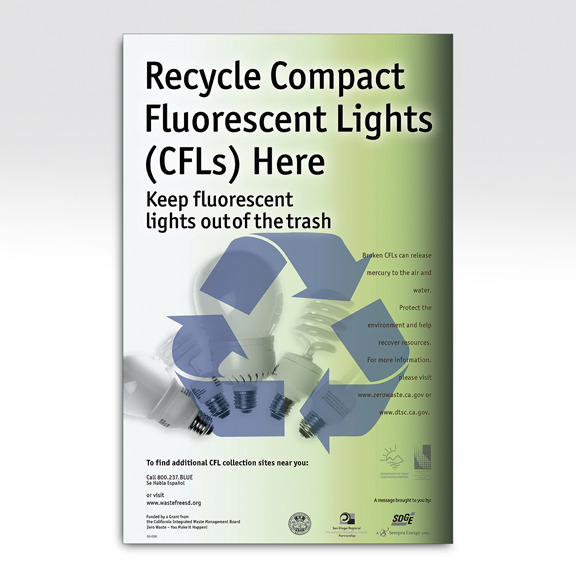 A project for the City of San Diego to promote responsible recycling of compact fluorescent light bulbs to locations throughout the city. 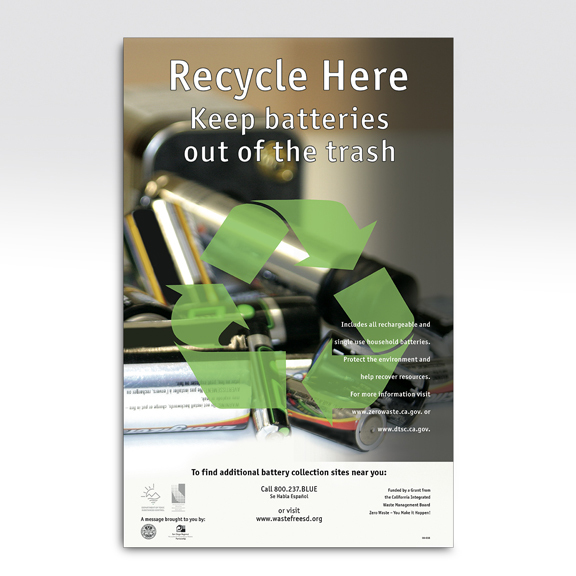 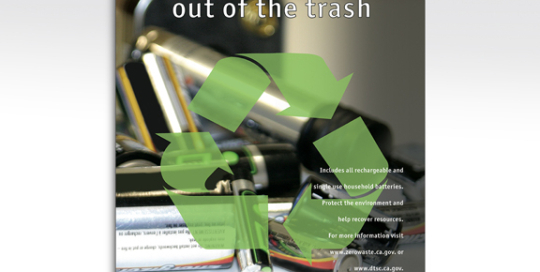 A companion piece for City of San Diego to promote responsible recycling of batteries. 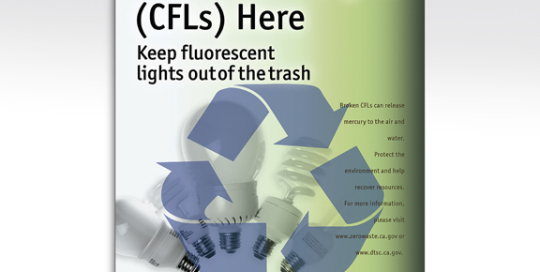 This campaign ran concurrently with a similar compact fluorescent light bult recycling program.